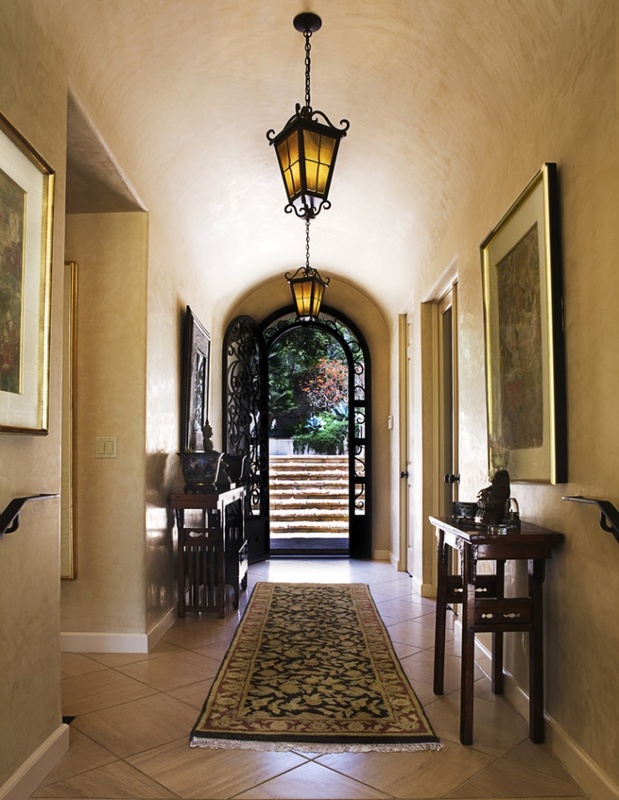 If your home has a hallway, it is only natural that it should be lighted. 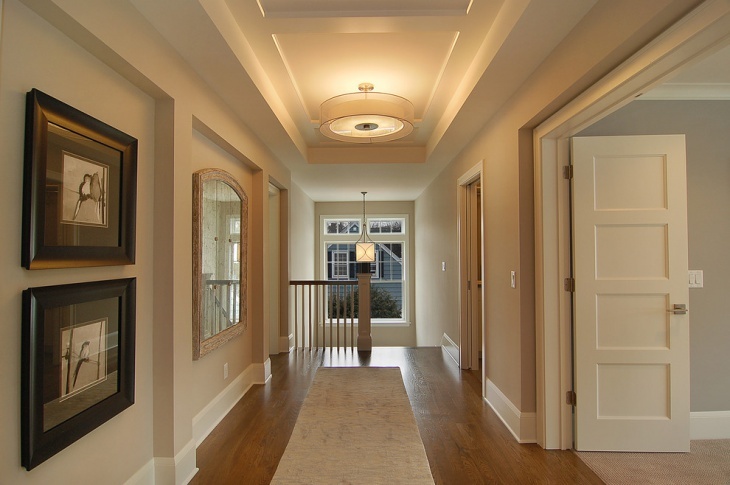 The most common way to do that is by using hallway ceiling lights. Though other people prefer lights that are installed on the walls, it is still the traditional ceiling lighting systems that get more favored. Use of led pendant lighting is another common preference, while there are those that prefer their hallway lights installed within the ceilings – especially for people who like simple interior designs. 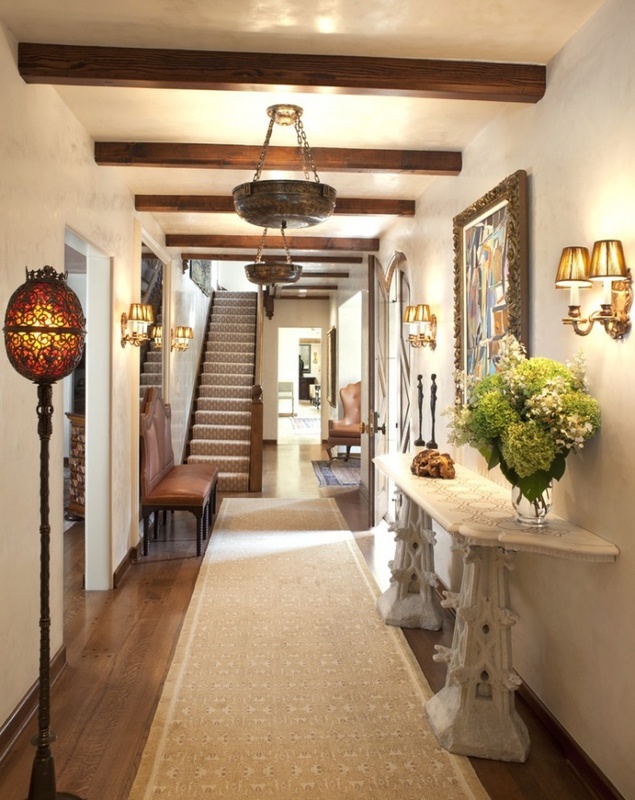 This small hallway is lighted up with small lighting fixtures attached to square inserts into the ceiling. The arrangements of the lights in one single line provides adequate and efficient lighting to the space. 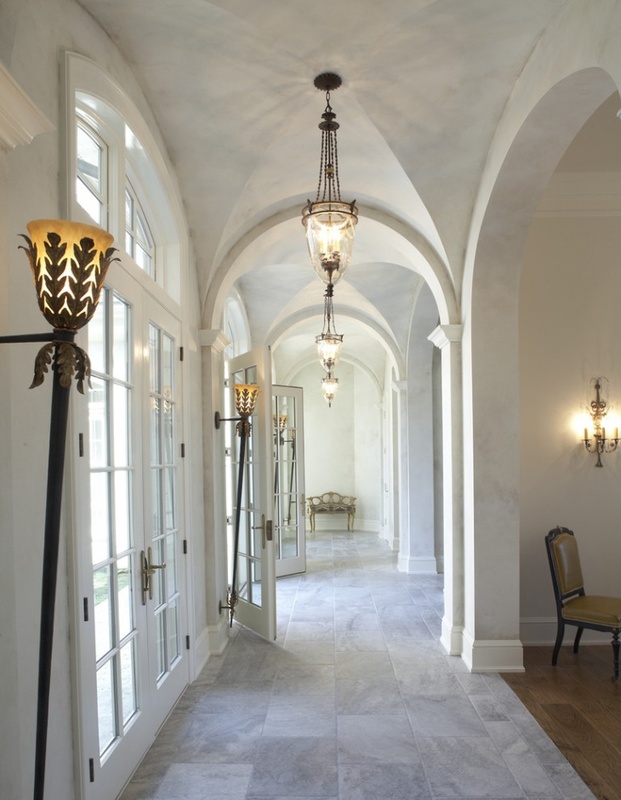 Circular hallway light fixtures are preferred by most people. 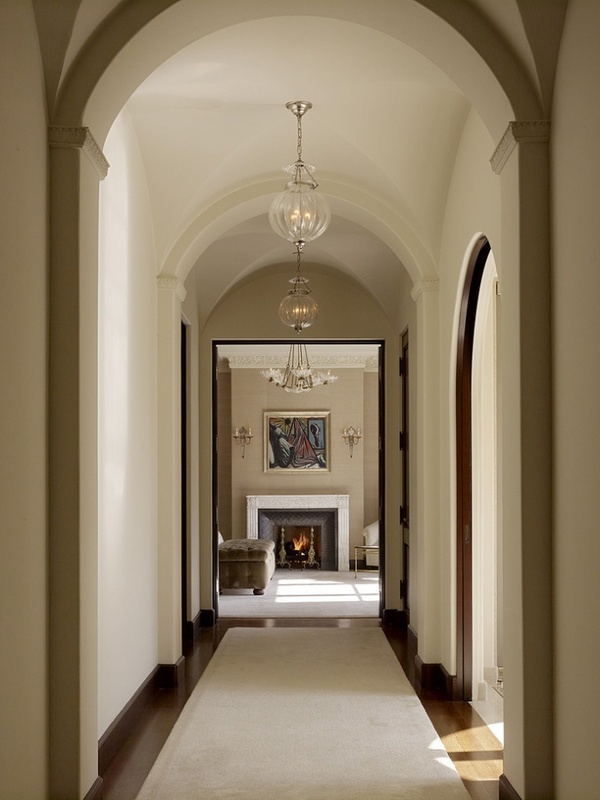 This narrow hallway, for instance, has two basic and simple flush mount options. These are paired with ceiling lightings for additional lighting. This flashy entrance hallway is decorated and lighted up with elegant cystal bubble and chrome flush mount chandeliers. The effect is both enticing and classy that it would make the visitors in awe every time they enter your home. 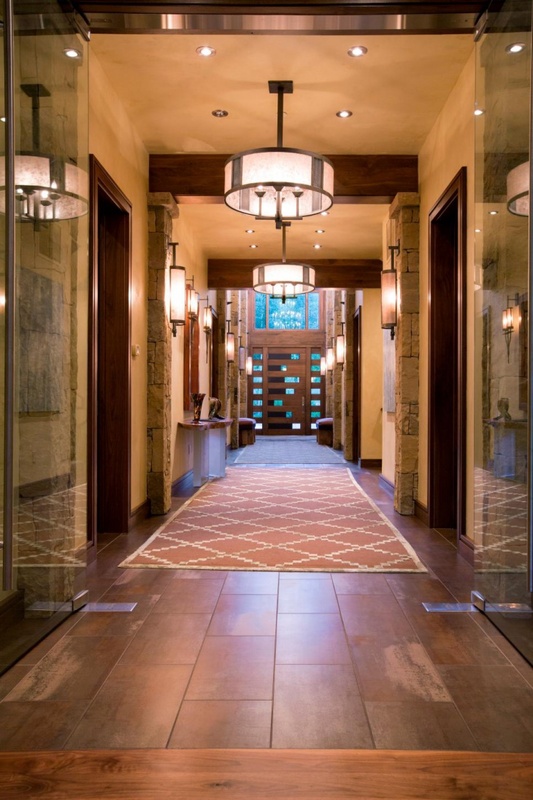 Using such lighting fixtures is a great way of announcing the magnificence of an interior from the front door. 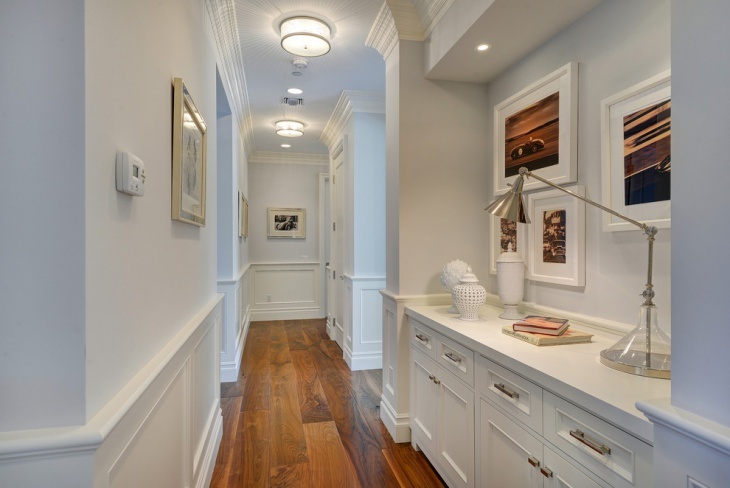 A narrow hallway can be just as elegant as the rest of the house with the use of the right lighting system. This villa, for instance, has all the right features, starting from the two antique lanterns that light up the space. The framed artwork, printed rug, tables and antique figurines finish off the vintage look. 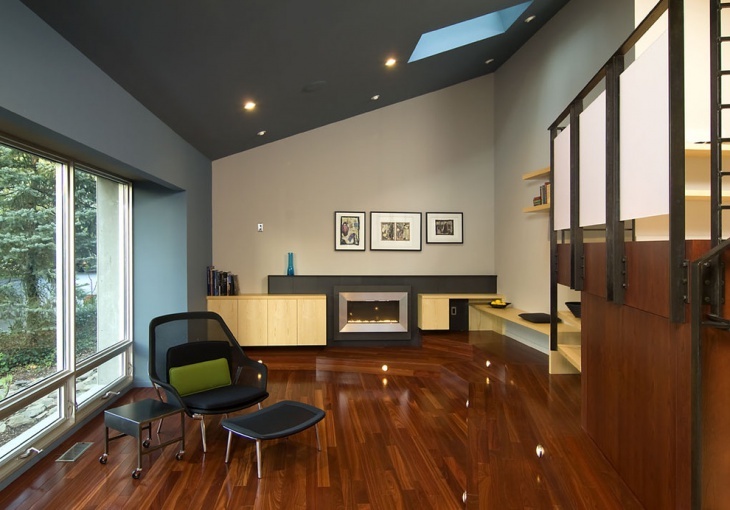 This upstairs entry way is well lighted, thanks to the circular flush mount ceiling light. The lights are nicely distributed creating drama that an interior as classic as this truly deserves. The window provides natural flow of light, adding efficient lighting during day time. 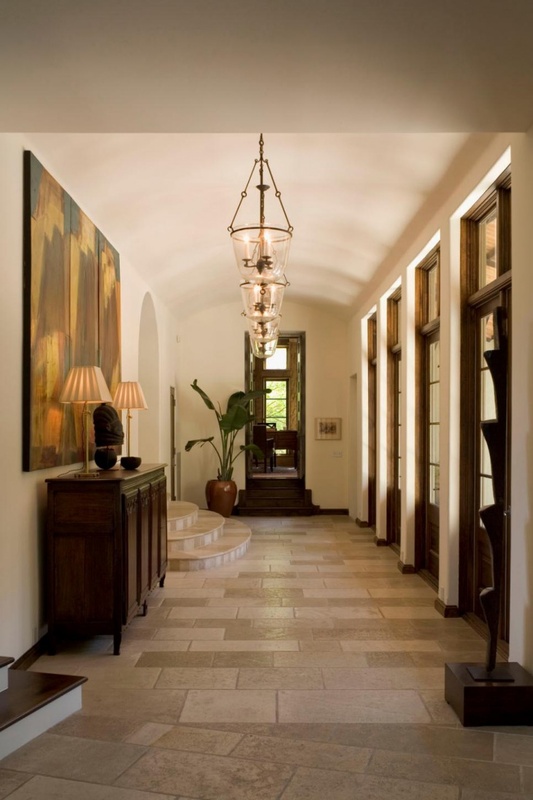 Three long pendant lights in bowl design are used for dramatic lighting in this classic hallway. The vintage feel is well achieved because of the simple elegance of the whole set up. Two lamps on the side table provide additional lighting when needed. 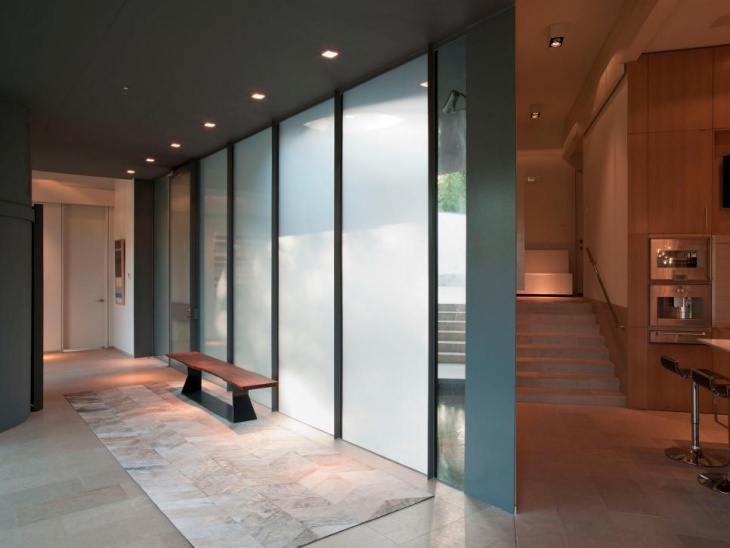 This narrow hallway that is painted in white is made to be more brightly enhanced with the use of LED ceiling lights. 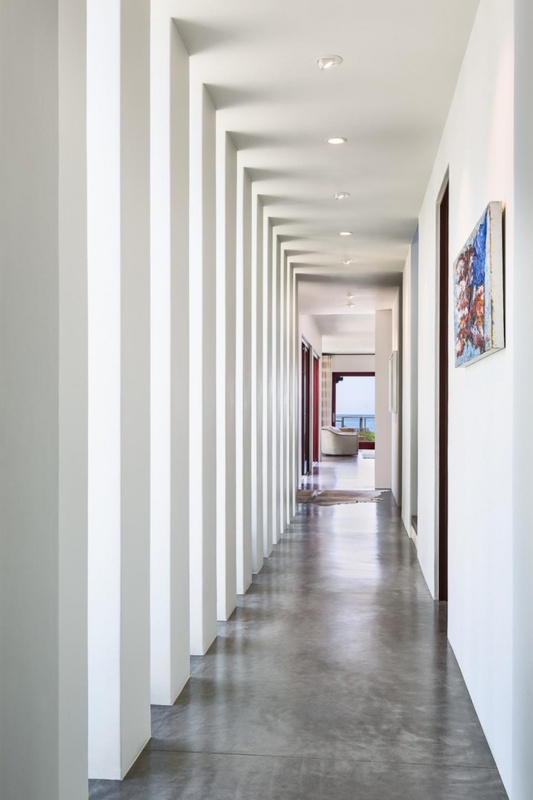 The white paint creates an illusion of space, making this hallway look wider than it really is. 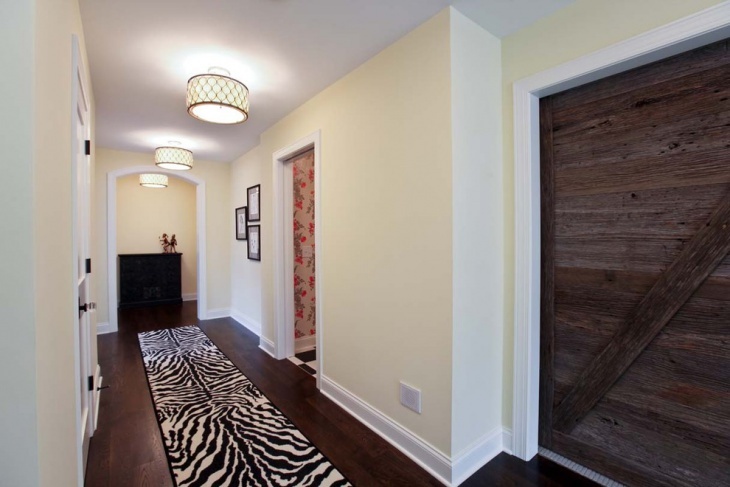 This hallway in a modern and rustic interior looks very welcoming. Thanks to the semi-flush drum light fixtures used. The circular frames that house the lights are designed with disk-shaped Sunflower Bauhinia crystal that is suspended in intricate beautiful metal work and finished in Burnished silver. If you like the orb lights design, this hallway should be an inspiration to you. It is lighted up with crystal pendant orb lights that provide adequate lighting and elegant decorative accent into the space. There are different kinds of lighting fixtures for every space or location of a home. You can have one lighting style within your entire house or you can have a different one for each room. For instance, your outdoor lighting can be composed of simple pendant lights and your hallway can be lighted with elegant chandeliers.